AMMAN - Under the patronage of Minister of Higher Education, Prof. Adel Tweissi and in the presence of Minister of Information and Communications Technology, Eng. 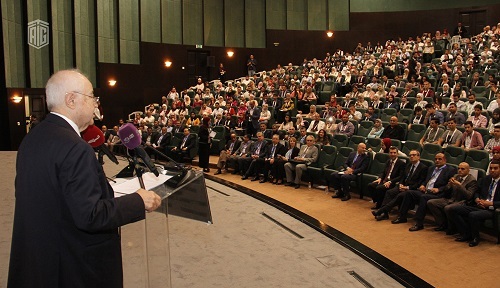 Mothanna Gharaibeh, with the participation of HE Dr. Talal Abu-Ghazaleh, president of the Arab Organization for Quality Assurance in Education (AROQA) and the keynote speaker, the Institute of Electrical and Electronics Engineers (IEEE) Jordan Student and Young Professional Congress was inaugurated. 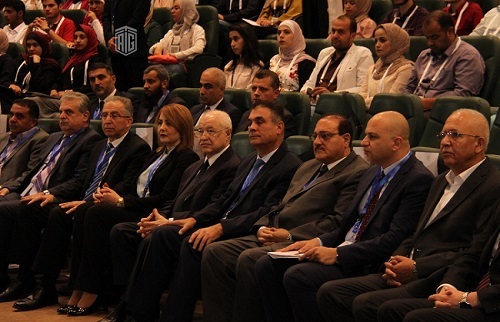 The fifth version of the Congress, organized by Al-Balqa’ Applied University, was held at King Hussein Business Park in the attendance of Chair of the Institute’s Jordan Section, Dr. Gheith Abanda, Head of the Jordanian Engineers Association, Eng. Ahmad Zoubi, President of Al-Balqa’ Applied University, Prof. Abdullah Al Zoubi, faculty members and more than 500 specialists and students in the engineering field. Dr. Abu-Ghazaleh stressed, in his address, the importance of changing the education methods in Jordan, noting, “The only way to produce wealth in the future is through creative education”. 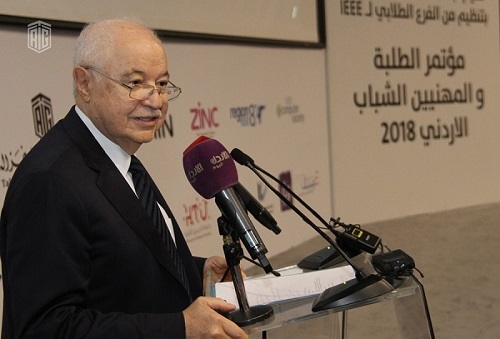 Dr. Abu-Ghazaleh highlighted the importance of the so-called ‘Knowledge Product’, referring to ‘Google’ as an example of a knowledge company whose market value reached around $ 1 Trillion; equivalent to the entire Arab gross domestic product. Furthermore, Dr. Abu-Ghazaleh underlined the need to replace the current academic process which graduates ‘certificate holders’ with a new educational system that graduates ‘'innovators and inventors” who can establish businesses and create jobs instead of being job seekers. Dr. Muntaha Bani Hani, Dean of Talal Abu-Ghazaleh University College for Innovation (TAGUCI) briefed the attendees on the programs provided by the first of its kind College in the Middle East, adding that TAGUCI will start it first semester for the year 2018/2019 next month. It’s noteworthy to mention that TAGUCI is a crystallization of HE Dr. Talal Abu-Ghazaleh’s vision in changing the education system from teaching into learning which has become a reality for the first time in Jordan. During the event, Mr. Mahamoud Lattof, Executive Director of Talal Abu-Ghazaleh for Intellectual Property delivered a presentation about the concept of patents and the importance of protecting creativity. He also explained the patent protection process from being a mere idea to becoming commercialized as a marketable protected commodity.